Do you need a new monitor for fast action gameplay? 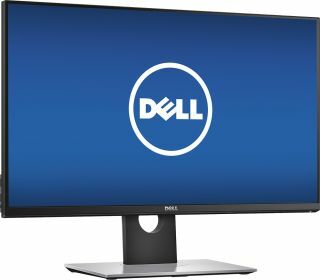 If so, you might be interested to know that Dell's 27-inch S2716DGR monitor is on sale at Best Buy for $480. It's even cheaper if you're willing to go the open-box route where it's priced at $426. We're not advocating the open box route, but if you do decide to go for it, Best Buy lists its open box stock for this monitor as being in excellent condition with no scratches or scuffs, and all original parts and accessories. The warranty remains intact, too. Either way, this is a 27-inch monitor with a TN panel that supports G-Sync. It has a 2560x1440 resolution, 144Hz refresh rate, and 1ms response time. Brightness is rated at 350 nits, and it has a typical 1,000:1 contrast ratio. Connectivity consists of a built-in 4-port USB 3.0 hub, along with HDMI and DisplayPort outputs. Finally, the S2716DGR supports tilt, height, swivel, and pivot adjustments. Best Buy lists the regular price at $700, though it looks like going rate on the web is around $550, depending on the vendor (Newegg has it on sale for $645). You can grab the monitor for $480 (or $426 for open box) here.